In a surprise release at the beginning of the year, LEGO released Series 2 of The LEGO Batman Movie Collectible Minifigures (71020). 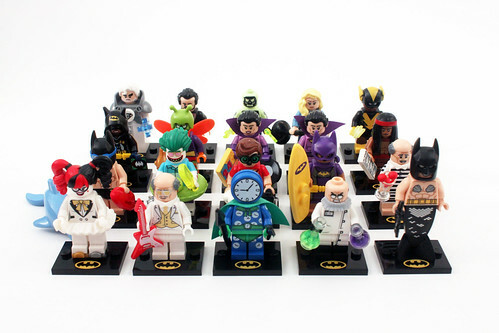 Like with the previous series, there are a total of 20 minifigures to collect. One new thing about this wave are the Batman branded baseplates that are used for the minifigures. In addition to some of the main characters that were featured in the Friends are Family song at the end of TLBM, we also have Disco Harley Quinn. 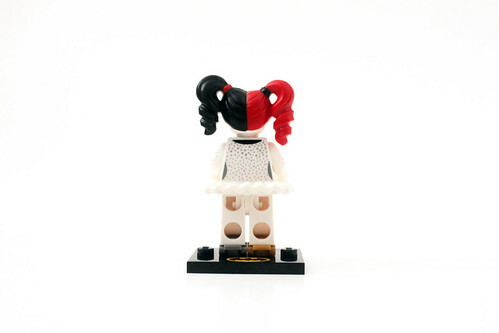 She has on the white outfit that the other characters had as well as a ballerina skirt piece. Surprisingly, there’s also some back printing of the shiny details. She rides on a pair of roller skates that are in pearl gold and silver. 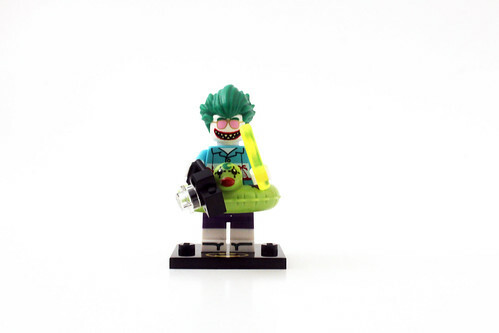 The other characters can be found in The Joker Manor (70922). The last character that was featured in the Friends are Family song is Alfred Pennyworth. 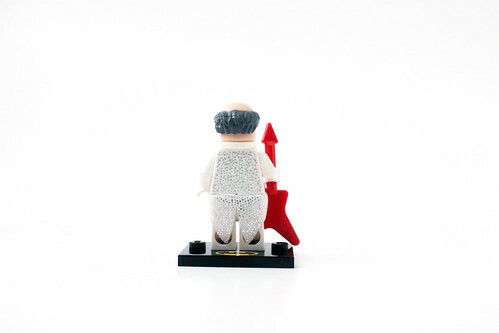 He also wears the white shiny suit which also has a white tie as well as a glittering skirt piece. 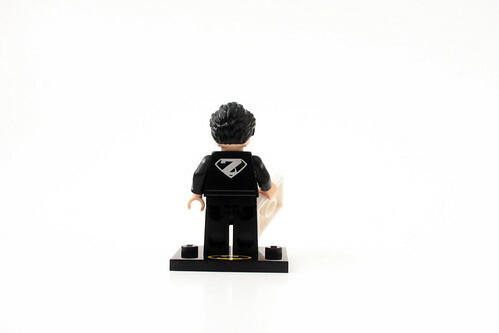 Like with Harley, the back of the torso also has some glittering details. His head shows him with a pair of gold sunglasses. 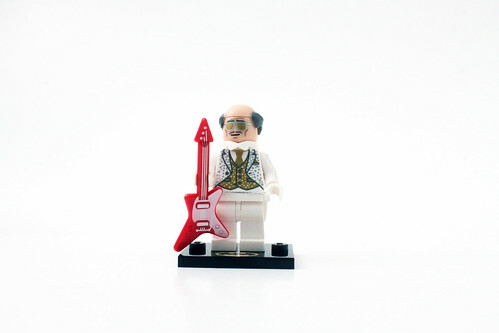 His accessory includes a red guitar. 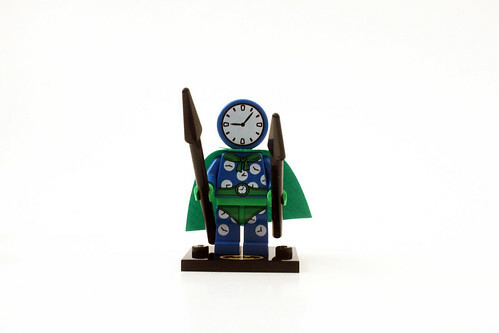 Clock King is a new character from Batman’s Rogues Gallery. The torso and legs show him with smaller clocks throughout. 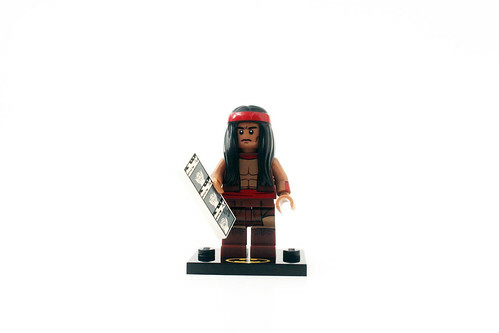 The head makes use of the Gingerbread Man minifigure and it shows a large clock on the face. 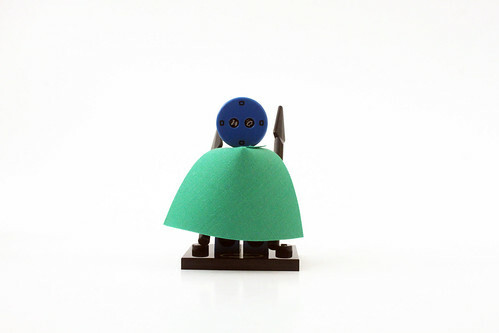 He also wears a green cape and the accessories include a pair of black spears. 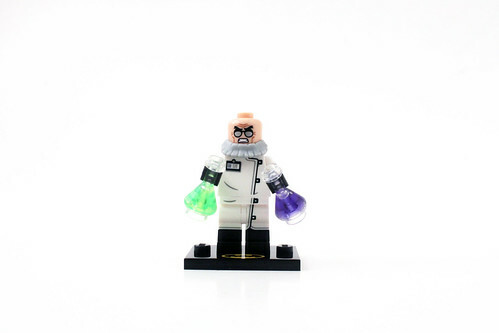 Another character that has been introduced from the Rogues Gallery is Professor Hugo Strange. He has on your typical white scientist outfit with no back printing. The head shows him with some silver glasses and a light gray beard piece completes his look. The accessories include some green and blue flasks. 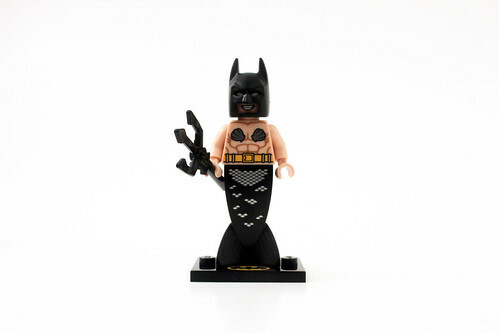 The first Batman minifigure in this series is the very strange Mermaid Batman. 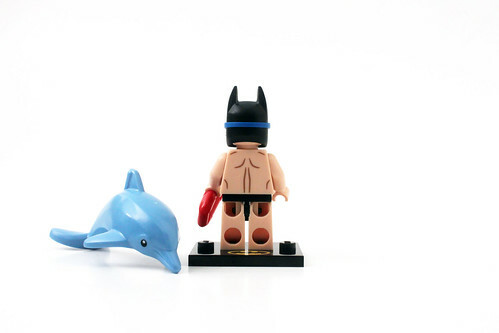 His torso shows him shirtless with some sea shells and the utility belt. The black mermaid tail is new showing some scales on it. 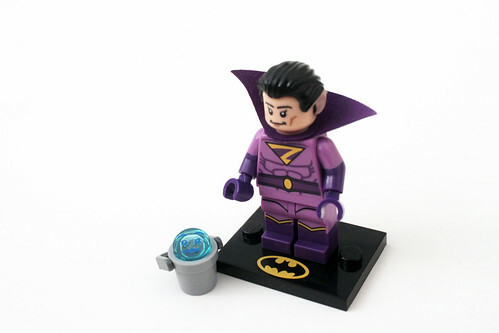 His facial expression shows him grinning through his normal black cowl. His accessory is a black trident. 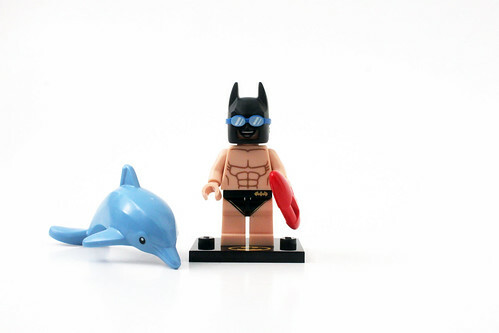 The other Batman minifigure in this series is a Swimsuit Batman. The torso shows him with a muscular physique and can be useful in beach/ocean scenes. The legs show him wearing a black speedo with a gold Batman symbol. 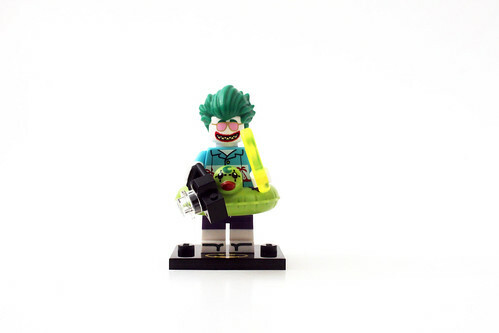 His facial expression shows him with a big smile while his cowl has a pair of swimming goggles over the eyes. His accessories include a dolphin and a red lifeguard buoy. The Joker is in a tropical attire that looks very similar to the one seen in the iconic The Killing Joke graphic novel/movie. I’m pretty sure LEGO used it as a reference. 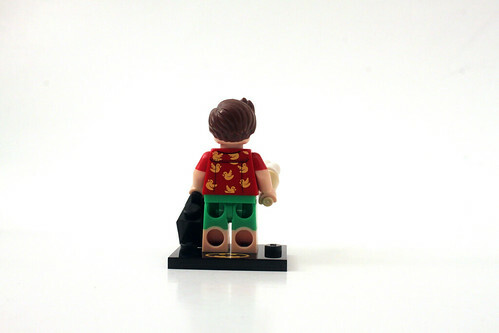 The torso shows him with a blue and white Hawaiian shirt with red palm trees. I’m happy that there is printing on both sides of the torso. The legs show the Joker wearing some blue shorts and sandals. His head is newe showing him wearing some pink sunglasses. 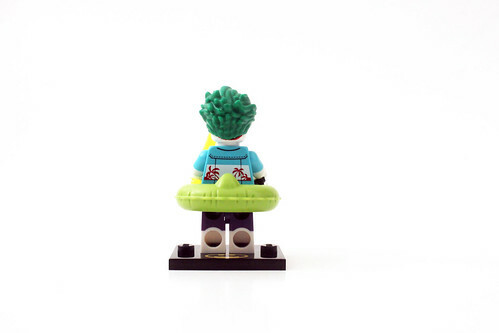 He has a plethora of accessories including an ice cream, an inflatable duck float, and a camera, possibly another Killing Joke reference. Robin also goes on vacation and he’s seen wearing a red shirt with yellow robins on both sides of the torso. The legs show him with a pair of green swimming trunks. 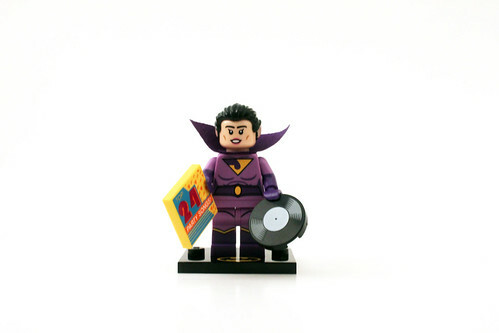 His accessories include a boombox and an ice cream cone. The next character to go on vacation is Batgirl. 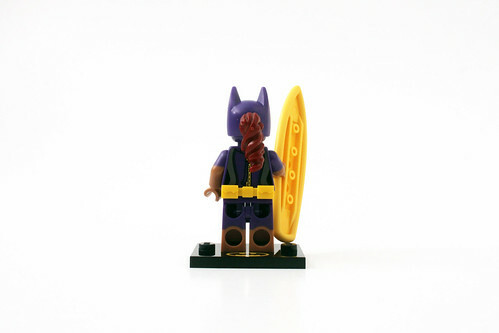 She wears a purple and gray wetsuit with the Batgirl symbol on the front. The legs also has printing of the wetsuit. 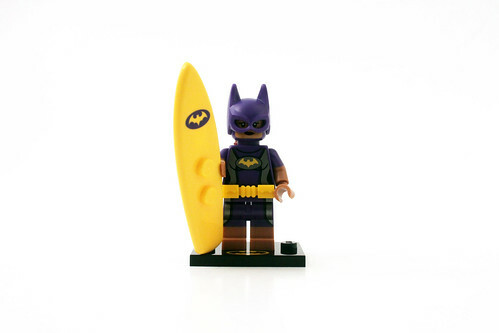 Her accessory is a yellow surfboard with a Batgirl symbol. The last character to go on vacation is Alfred. He has on a striped swim outfit that’s very unflattering and makes him look more like a prisoner insted of being on vacation. His accessory is a martini made of a clear glass and a cherry piece. In an very unusual outfit, Batgirl is seen hawking some Bat-Merch. 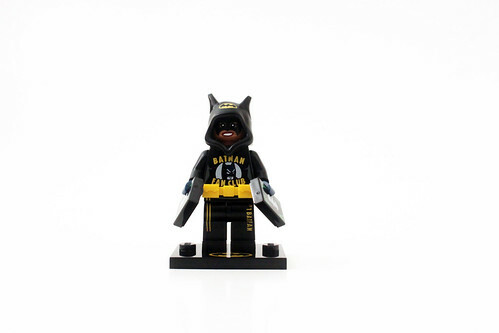 The torso is a nice looking sweater showing the Batman Fan Club and includes a short black cape. The legs look like sweatpants with some details on either leg. The face printing is new with a different face mask. The cowl is also new in a slightly different design that looks more like a hoodie. 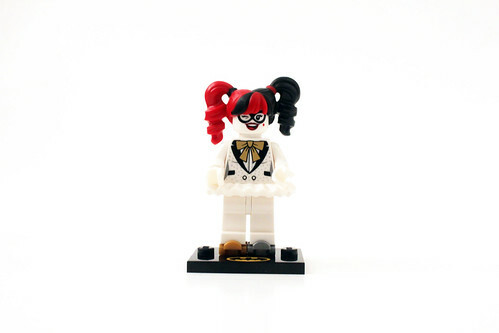 Her accessories are a couple of printed Batman bills. 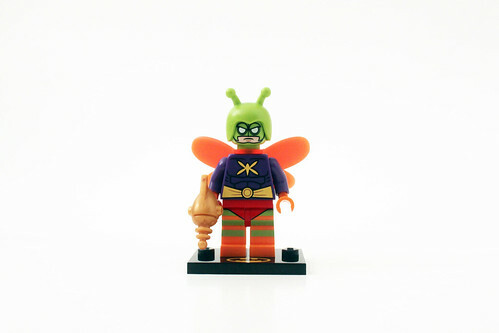 Killer Moth first appeared in the Scarecrow Harvest of Fear (76054) but this one is a slightly different version of the character. The torso has one small difference particularly with the belt. The legs are orange with some lime green stripes. 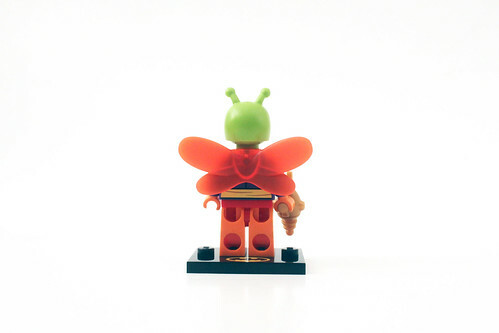 He also wears a pair of wings that go on the torso. The helmet is the same mold as the Bumblebee Girl but in a new lime green color. The blaster has been used before with the Retro Spaceman but it is now in a pearl-gold color. Jayna has on the iconic purple outfit with the Wonder Twins symbol across the chest. She also wears a new collar cape piece as well. The hair piece is nice looking with slicked back hair and the pointed ears. 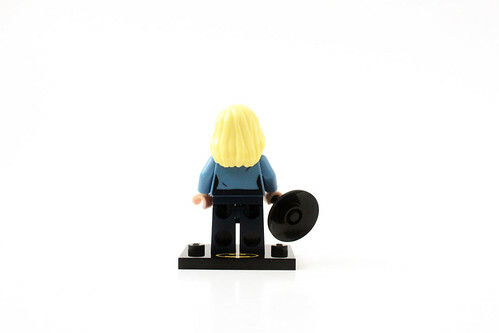 Her accessories include a printed 2×2 tile of party songs and a record piece. 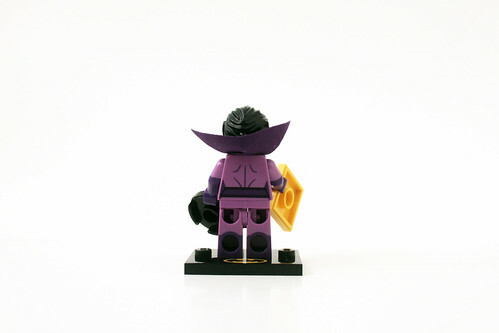 Zan also has on the purple Wonder Twin outfit with the collar cape. He looks similar to his sister with some slight differences throughout. 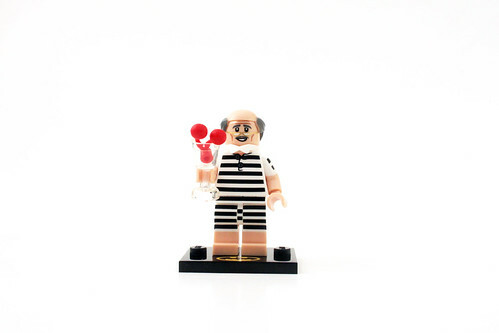 His accessory is a water bucket with a printed 1×1 trans-blue tile with his face. It doesn’t go inside the bucket but just sits on top. 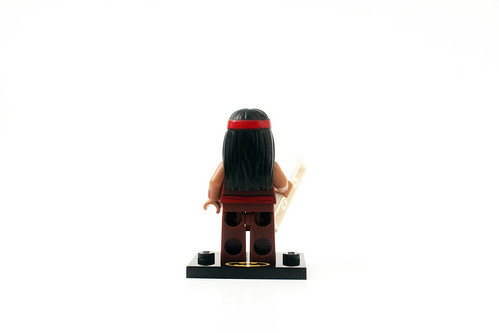 Apache Chief is a fairly obscure character and I was surprised to see him in minifigure form as he was only seen briefly at the Justice League party. The torso shows him wearing a brown leather vest. The hairpiece is nice and could be useful in other settings. His accessory is a printed 1×3 tile of him taking pictures in a booth. 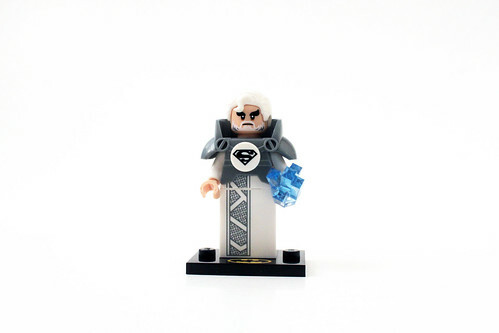 Superman’s dad also makes a short appearance in TLBM but it’s cool to get a new version of him. 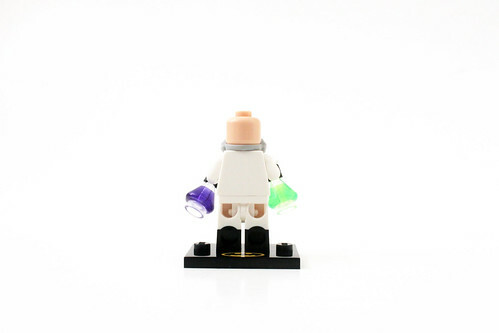 This time, he has a white outfit with the “S” symbol on the torso. 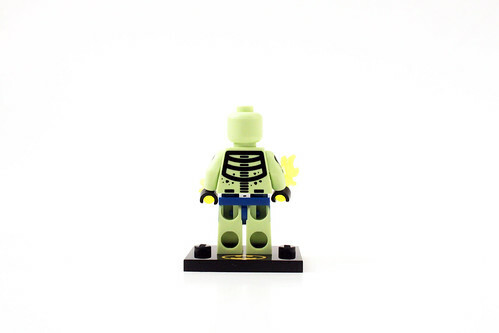 The legs are the large robe piece with the same printing as on the torso. 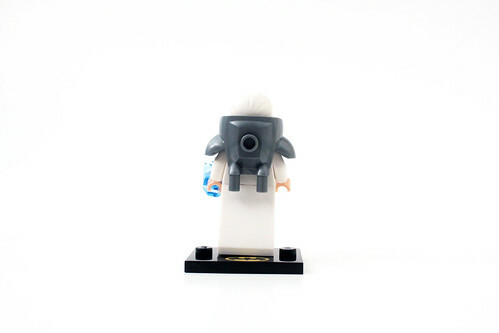 He also wears a space armor with a printed 1×1 round “S” tile. The bearded facial printing is nice along with the white hair piece. His accessory is a trans-blue crystal piece. General Zod has on a similar outfit that was seen from Superman II. The torso has printing of the black robe with the legs showing the rest of it. He has a double-sided head with a angry face on one side and red laser eyes on the other. 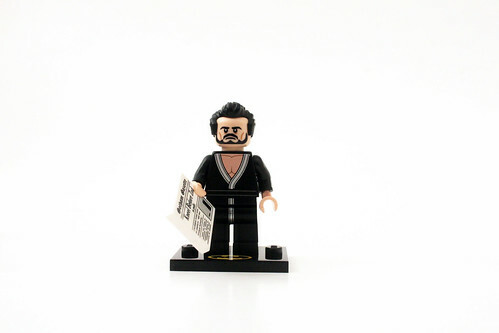 His accessory is a 2×2 printed newspaper tile of the Gotham Gazette with the headline Kneel Before Zod (in polls). Doctor Phosphorus is another character from Batman’s Rogues Gallery and he looks awesome. The torso and legs show im in a radioactive green color and it shows his ribcage and spine on both sides of the torso. 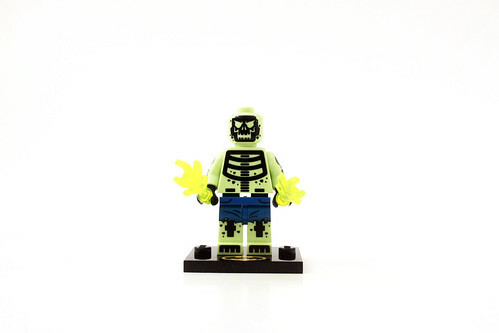 The legs has some printing of some blue shorts with his leg bone and kneecaps. The head piece is also very nice showing a skeletal look. The accessories include a pair of trans-neon green flame pieces. 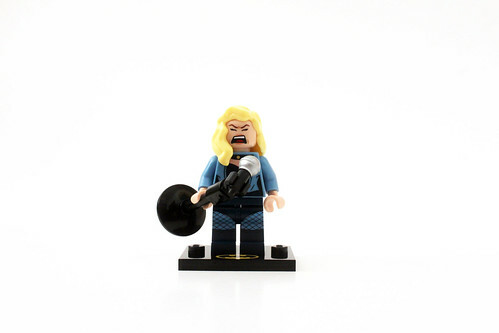 A character that has not appeared before in minifigure form is Black Canary. She has on a dark blue shirt with a light blue jacket. The legs are similar colors with some printing of some fishnets. She has a double-sided head with a stoic expression on one side and a very nice screaming expression on the other. Her accessory is a microphone with a stand. 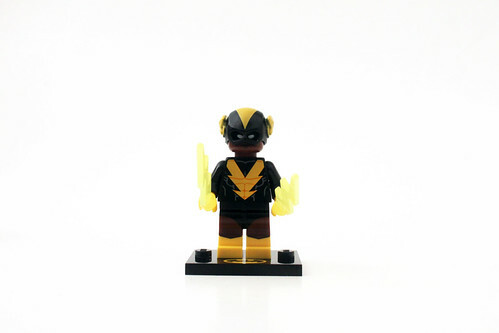 The last minifigure the Series 2 The LEGO Batman Movie Collectible Minifigures is Black Vulcan. 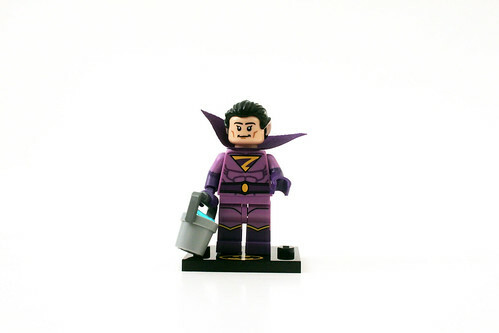 He is another somewhat obscure character but it’s nice to get him in minifigure form. The torso is somewhat bland with a yellow lightning printing going down the torso. The head shows him with a black bandana with some white eyes. 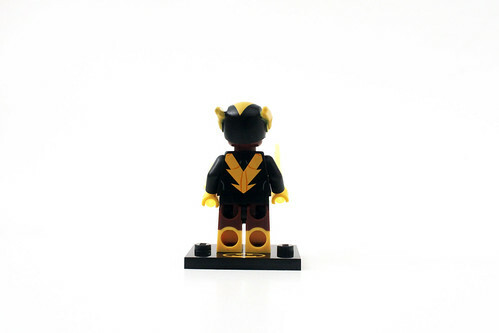 The helmet is the same mold as the Flash but in black and yellow colors. 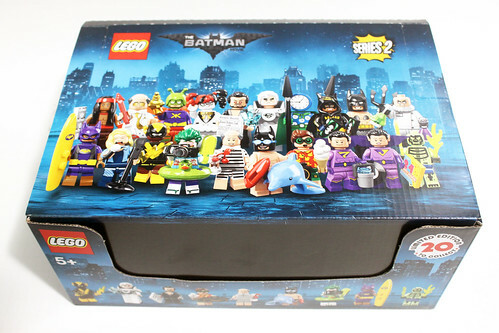 If you manage to get a complete unopened box of Series 2 The LEGO Batman Movie Collectible Minifigures (71020), you’ll be able to get three complete sets of 20 minifigures each. 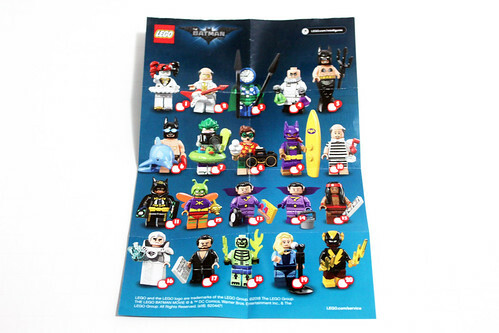 For me, my favorite minifigures in this wave are Vacation Joker, Doctor Phosphorus, and Bat-Merch Batgirl. The only odd one out is probably Mermaid Batman as that one is just pure randomness and doesn’t really fit with anything in particular. 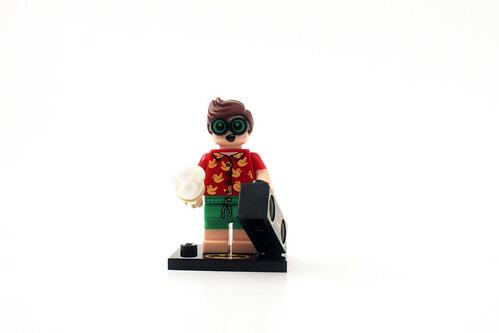 Which minifigure(s) are your favorites? 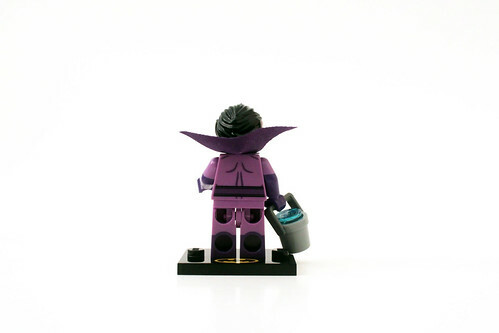 If you want to win a complete set of the Series 2 TLBM minifigures, I have a vignette building contest going on and there’s only a week left to enter as of this post.